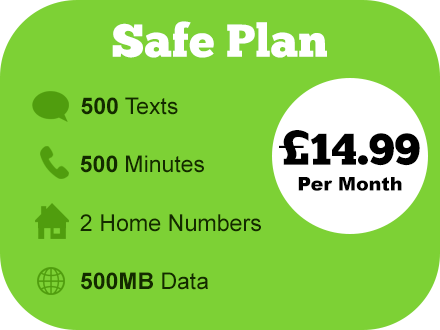 The secure child-safe mobile phone network that allows parents to record, monitor and control usage. 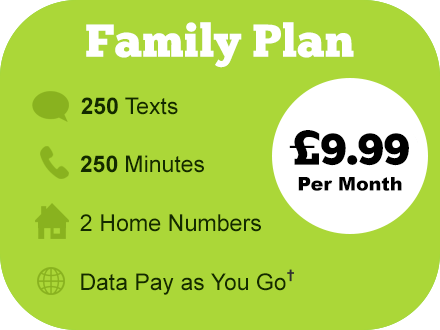 Choose any two 'home' numbers - landlines or mobiles - and they're always free to call and text. Be alerted when your child sends or receives any of your chosen words or phrases in their text messages. Take full control over the times that your child can talk, text or use mobile data. Safe & Block lists give you complete control over which numbers can contact your child, and which numbers they can call or text. ALL text messages are recorded & stored in an online account for you to review. ALL calls are recorded & stored in a secure online portal for you to listen to & download. Your SIM card is posted to you same or next day. When it arrives, pop it into any unlocked mobile phone - a smartphone or basic feature phone handset are fine. All you need to do is turn the phone on and the phone will be ready to use as soon as you have logged on to your Portal for the first time. ParentShield is child-safe from the network up. ParentShield allows you to safely provide any phone of your choice and a 'grown-up' user experience. Log in to your online portal to make changes, set restrictions, set word alerts, and listen to recordings or view messages at any time. ParentShield is designed from the ground up to be perfect for use by children. It protects users from unknown and unwanted callers, controls hours, spending, and provides the perfect parental control platform. Insert one of our SIM cards in any unlocked mobile phone and your child is instantly protected. 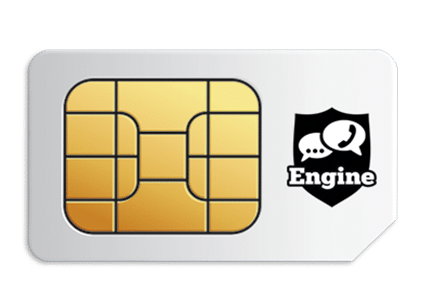 Because ParentShield is a SIM card only for Children ( and others who need special protection) only, it can provide many features that would not be appropriate on an ordinary mobile phone service. All settings are made via a secure online portal allowing parents to control a mobile phone, without touching the phone. The user has no way of circumventing ParentShield controls. 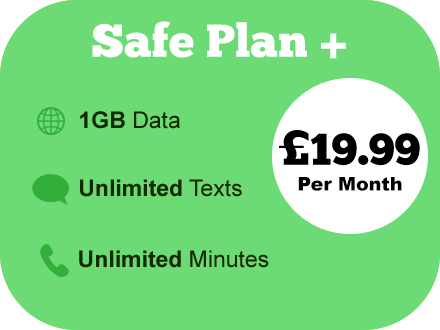 The SIM card that ParentShield uses provides the best UK coverage possible. 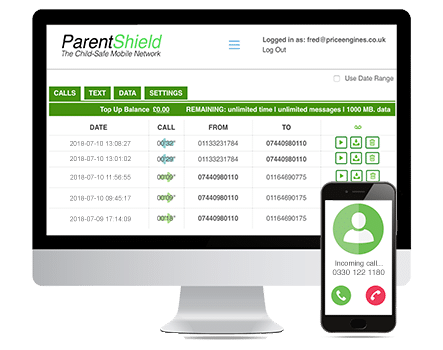 It combines the coverage area of every major UK network so if there is coverage in your area from any mobile network, the ParentShield SIM will have a connection providing peace of mind and maximum protection at all times. * Home Numbers are 2 special phone numbers of your choice. They can be Mobiles, or Landlines. These numbers are always free to call and free to text, so even if the account has reached its call or message limit for the month, the user can always call you.